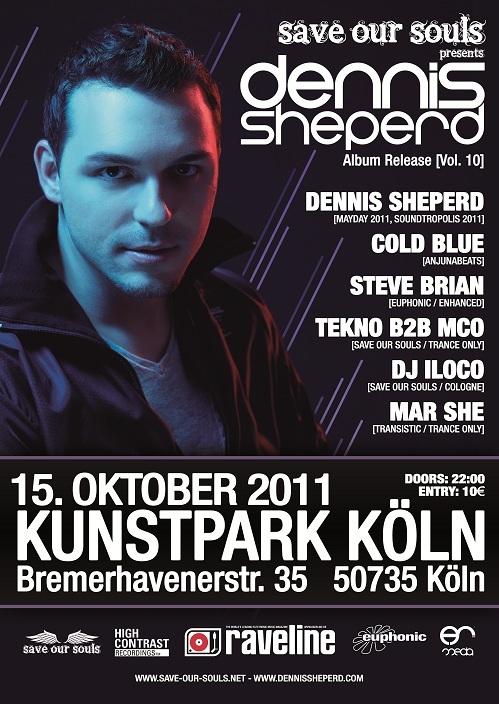 After quite a long summer break we are very proud to announce the next event with Dennis Sheperd, Cold Blue, Steve Brian, Mar She & the Save Our Souls Residents. In fact we are celebrating the 1st year anniversary of Save Our Souls. This is going to be huge, come around and party with us!